Probably the most popular question we get asked; what should I do in Hong Kong in two days or in a week, two weeks or whatever other time period a visitor is staying for. In truth, the answer is always personal. It depends on what you’re interested in; from the world’s tallest skyscraper and the longest free-standing suspension bridge to just eating Dim Sum and then more Dim Sum. Do you just have an airport stopover or are you bookending a business weekend? 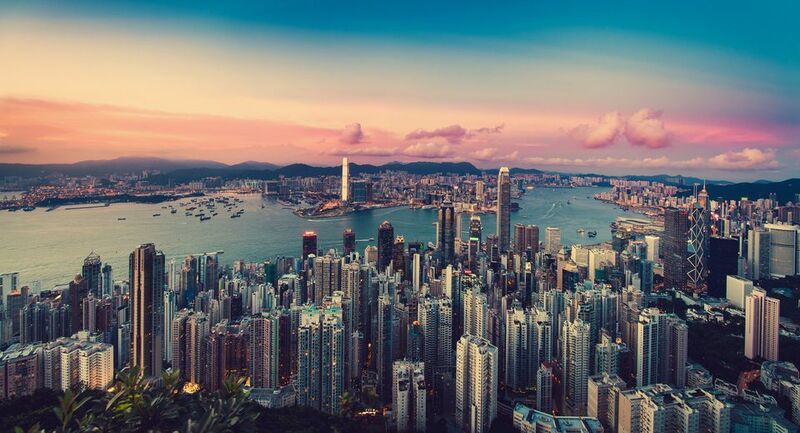 Don’t let your limited time stop you seeing what Hong Kong has to offer. Second only to the city’s skyline on the list of attractions are Hong Kong’s restaurants. This is a city that marches on its stomach and most meals by most people are eaten in restaurants – which means plenty of selection. While Hong Kong is rightly famed for its excellent western food if you’re only here for a short stay stick to Cantonese cooking. Make sure you get some BBQ pork (char siu) and rice and consider some fresh seafood, a Hong Kong specialty for dinner. If you’re in town for longer make sure you grab some Dim Sum on day two – these manic restaurants are as much of the experience as the excellent food. Check out this one day in Hong Kong tour for a more detailed itinerary. With a couple more days in town, it’s time to see the other side of the water. Kowloon, many people would argue, is a more accurate reflection of the city’s character. It’s hard not to agree, and the markets and family-run shops here are capitalism at its naked best. Nathan Road is Hong Kong’s grandest thoroughfare; packed with shops, hawkers, and neon advertising signs. You should also pay a visit to Chungking Mansions and Hong Kong’s best market at Temple Street. A week really is the ideal amount of time in Hong Kong. You can explore all the main sights, fill up your shopping bags and also get a look at the less explored wild side of the city. Both the New Territories, the stretch of green between Kowloon and the Chinese border and the dozens of inhabited outlying islands are worth a visit. If you only have time for a single day trip, make it Lamma Island. This laidback island has no cars and plenty of spirit. There are some fantastic hiking trails, golden beaches, and cheap seafood restaurants with cheap catch. The island is reached by regular ferry from Central. Also on your itinerary should be a visit to Stanley on the south side of Hong Kong Island. This is Hong Kong’s best seaside village and you’ll find plenty of al fresco eating and drinking, as well as a decent beach. With the full seven days, it’s also worth booking a trip over to Macau. This former Portuguese territory still has plenty of Iberian charm and you can sample Macanese cuisine, see remnants of Portuguese architecture and visit a casino or three. It’s a quick one-hour ferry ride from Hong Kong to Macau. With two weeks you can take a more leisurely approach to much of the above. It’s certainly worth adding a stay out on one of the outlying islands – the Tai Po heritage hotel on Lantau Island is an outstanding option. Also, take a couple of days out for a trip to mainland China. Shenzhen is the nearest city, right on the Hong Kong/Chinese border, but an uninspiring destination. Just two hours by train from Hong Kong is Guangzhou. The capital of the Guangdong province is where the Chinese boom started and remains an inspiration for much of the nation. If you want to see where China is heading, visit Guangzhou. Much of the best of Hong Kong is on the streets and for short trips, we wouldn’t normally suggest trips to museums. But if you’re here for two weeks there are a couple that are worth a visit. By far the best is the Hong Kong Heritage Museum – where you can brush up on Hong Kong’s short but eventful history.